Now selling for just .50/ea!! Sold�only by the case.� Sorry, no case breaks. SORRY, SOLD OUT OF SIZE S, M, L, XL & 2XL! and work in dusty and grimy environments. 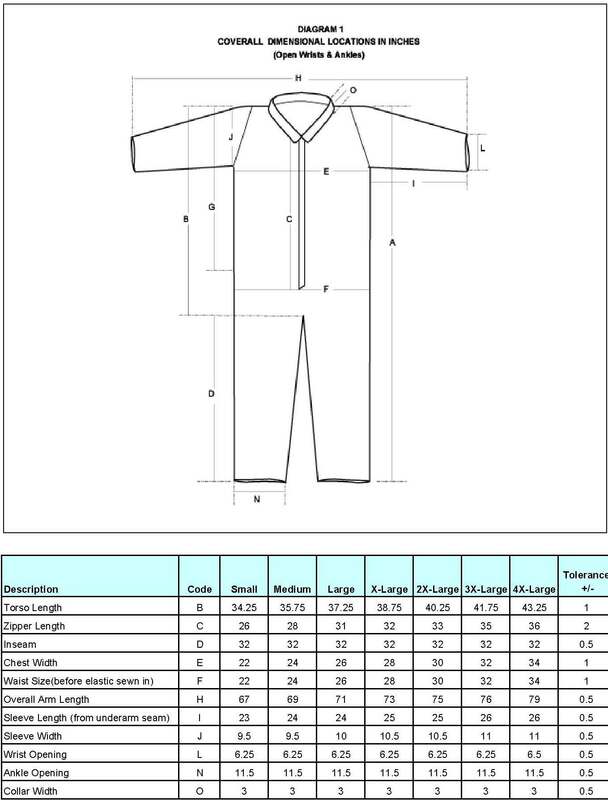 Single use coverall, made of special degradable thermoplastic polymers including hot-water soluble polyvinyl alcohol that is environmentally friendly. It provides the same barrier protection as a regular poly-cotton or all cotton coverall made of the same polymer as disposables used for many years in the medical field for personal protection. It is breathable and ideal for paint spray or sandblasting protection when working in hot environments. Not suitable for soaking wet applications. This disposable coverall is commonly used as a first barrier to all nuclear plants in the U.S.A to protect against airborne alpha and beta particles. It is also static free, it will not attract charged "fuel type" particulates or Radon-222 products. It will provide the equivalent chemical level of protection to traditional cotton or poly-cotton coveralls. Consult your safety professional for guidance. Light weight, yet much stronger than traditional SMS polypropylene coveralls. Other features: zipper front, rubber elastic sleeves and ankles.